Updated Tuesday May 2, 2017 by AUBL Miami. BIG NEWS!!! 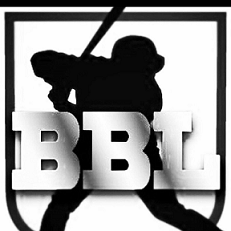 - AUBL Miami has purchased The Broward Baseball League (BBL)!!!! This deal has added 12 new teams and 6 new fields to AUBL Miami! The Broward Baseball League will continue to operate as it's own division with it's own playoff structure under AUBL Miami rules and regulations. The winner of The Broward Baseball League will compete for The AUBL Miami championship in a best 2 of 3 series versus the Miami champion. There WILL be interleague play starting next season in June. The website domain name www.bblbaseball.com has already been redirected to the AUBL Miami league website. The website domain name www.browardbaseballleague.com will be redirected to the AUBL Miami league website starting next week. All current BBL games have already been posted to the AUBL Miami website. All future BBL games will be posted as they are created to the AUBL Miami website as well. The current BBL season will end in June without playoffs and then start again in the Spring 2017 season together with AUBL Miami. Please visit the league website www.aublmiami.com for more details.